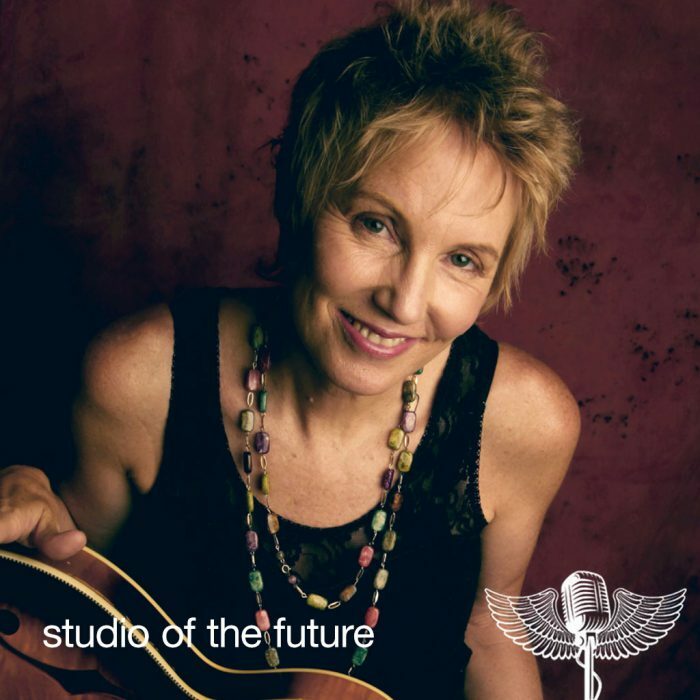 With two Grammy nominations, Eliza Gilkyson is a singer/songwriter and activist, one of the most respected musicians in the Folk, Roots and Americana genres today. The daughter of legendary songwriter Terry Gilkyson (“Bare Necessities”), Eliza began recording demos for her father while she was a teenager. 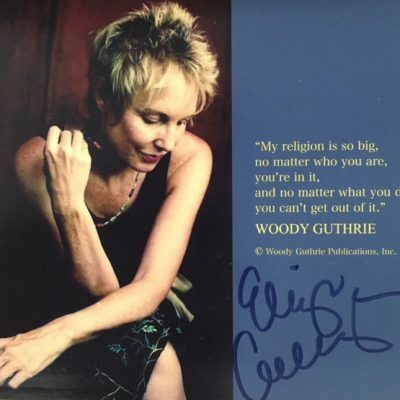 Since then, she has released 20 recordings of her own, including her latest release, 2018’s “Secularia,” a collection of spiritually charged songs that do not fit within the parameters of traditional religious beliefs. 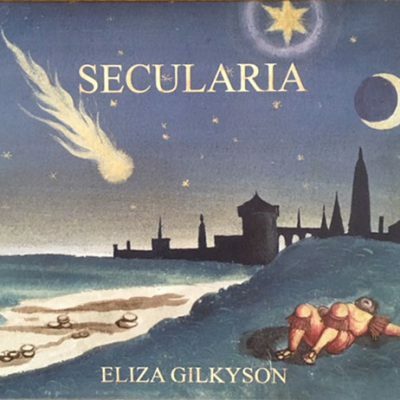 Eliza challenges each of us to be accountable for our actions in such perilous times. 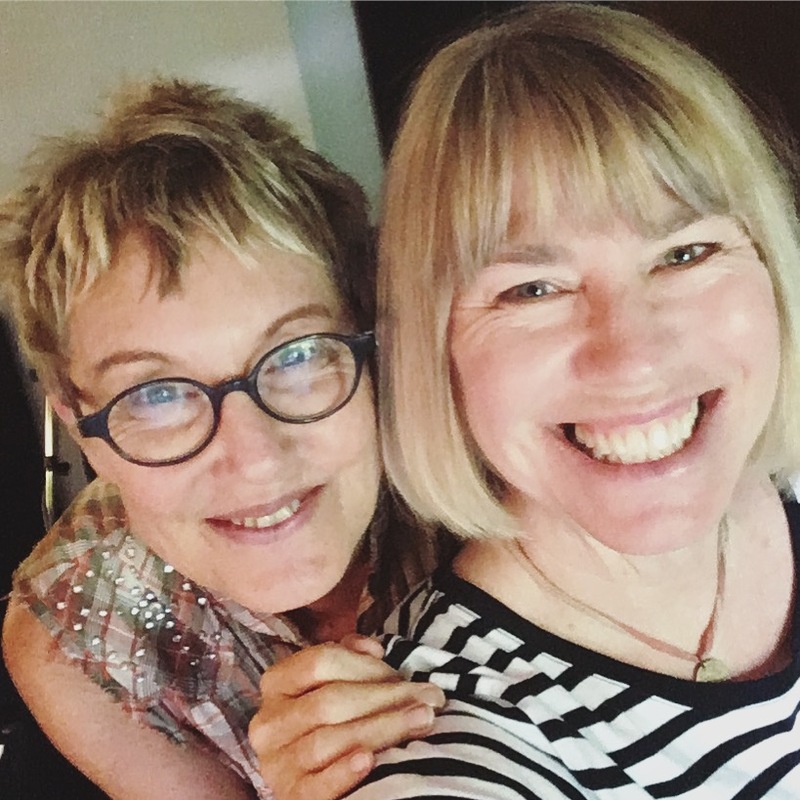 This album’s stunning performances include the acclaimed Tosca String Quartet; cameos with Shawn Colvin, gospel singer Sam Butler, and a duet with her dear friend, the late Jimmy LaFave. There are several songs adapted from poetry by her grandmother Phoebe Hunter Gilkyson and music by her father, Terry. 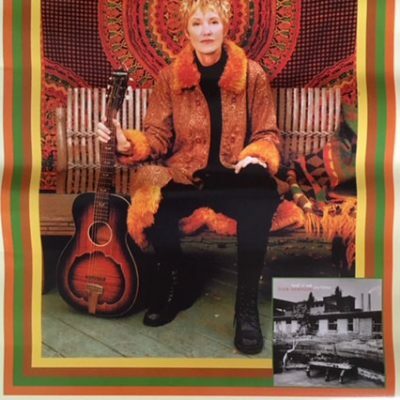 Her music has been covered by Joan Baez, Bob Geldof, Tom Rush and Rosanne Cash and used in films, PBS specials and on prime-time TV. Eliza has appeared on NPR, Austin City Limits, Mountain Stage, etown, XM Radio, Air America Radio and toured worldwide as a solo artist. 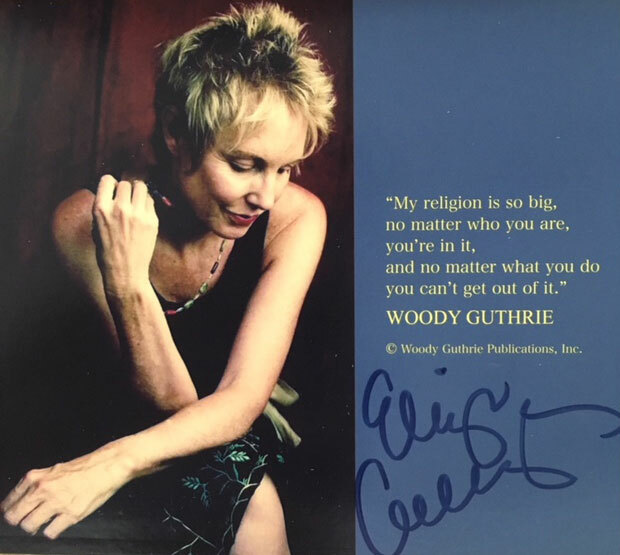 She has also performed in support of Richard Thompson, Patty Griffin, Mary Chapin Carpenter, Dan Fogelberg, as well as with the Woody Guthrie review, alongside the Guthrie Family, Jimmy Lafave, Slaid Cleaves, and with special guests Pete Seeger, Jackson Browne and Kris Kristofferson. 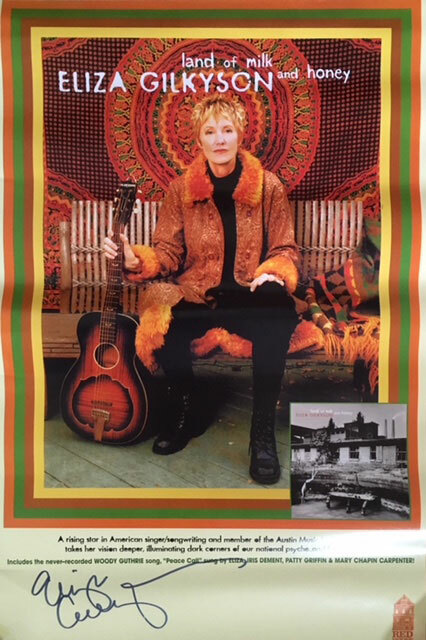 She has been inducted into the Austin Music Hall of Fame in the company of such legends as Willie Nelson, Townes Van Zandt and Nanci Griffith and is an ongoing winner of the Austin Chronicle’s various music awards, as well as numerous coveted Folk Alliance awards. In 2011 and 2012, Eliza and label-mates John Gorka and Lucy Kaplansky performed as “Folk Super Trio” Red Horse, a side project whose CD stayed for months at the top of the Folk Music Charts. In 2014, Eliza was invited to contribute a track on the Jackson Browne tribute, “Looking Into You”, along with Bruce Springsteen, Don Henley, Sara Watkins, Shawn Colvin, Bonnie Raitt and others. 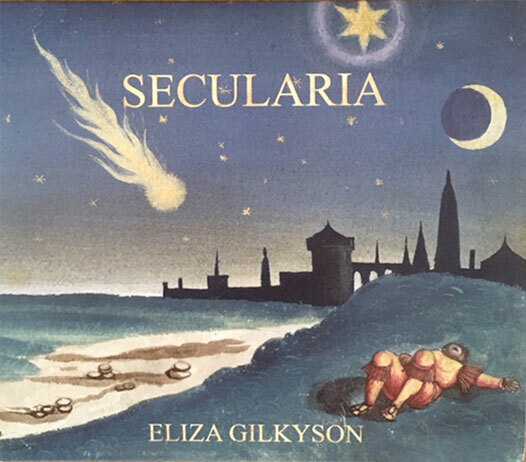 Eliza left 3 signed posters (one signed “Secularia,” her new CD) to raise funds for the renovation of the Sanford Community Center in Palacios, Texas. All proceeds are tax deductible and 100% go to benefit renovations through the Palacios Community Coalition (501c3) toward the Sanford Community Center. All items are $30 each (includes s&h).